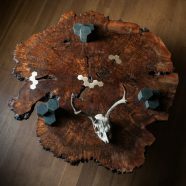 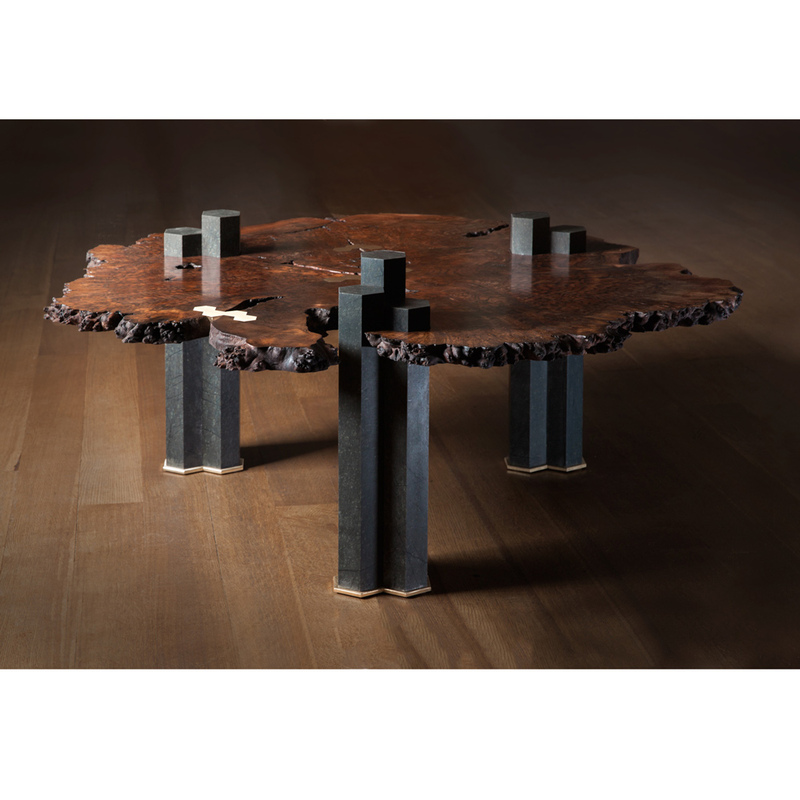 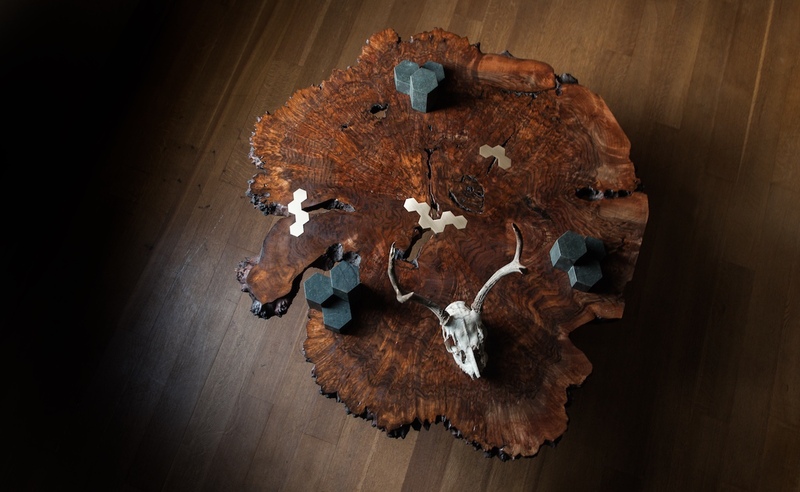 The Columnar Table is a unique piece, made from a highly figured slice of burl and from Mt. Shasta serpentine quarried and cut by hand. 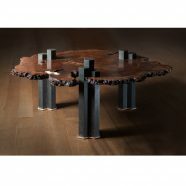 It has bronze inlays to stabilize the top.